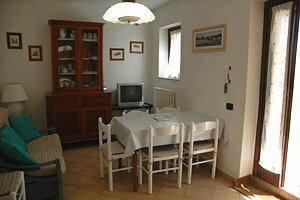 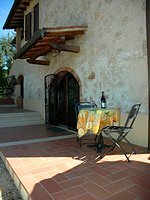 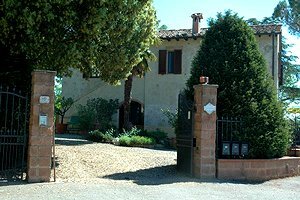 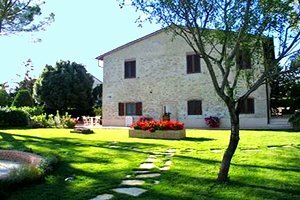 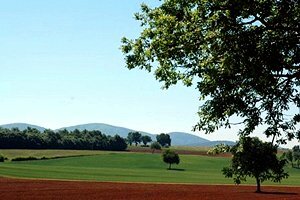 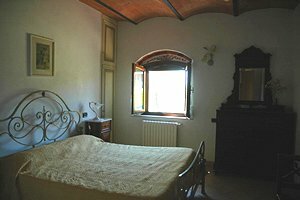 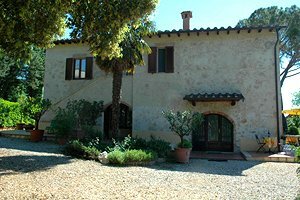 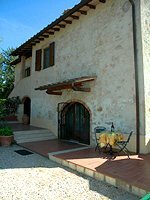 The cultivated fields and the woods of Valdelsa and the Chianti hills surround the villa located in Colle Val d`Elsa, the town of crystal, in the province of Siena. 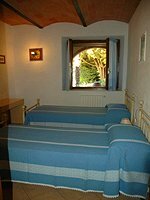 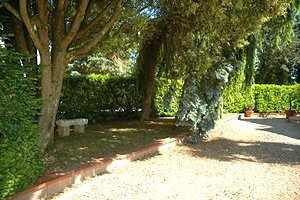 Between a trip to Volterra, Florence, San Gimignano and Siena and a tennis match, or between a horseback ride in the neighbourhood and a day at the nearby spas in Gambassi Terme, guests can relax by the private swimming pool with whirlpool area (5x10 m; depth: 0.70-1.80 m) and organize amusing barbecues in the open air. 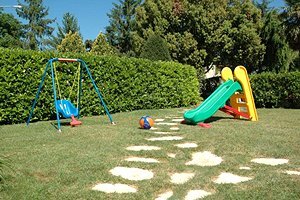 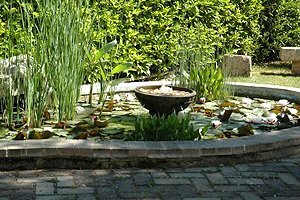 In the garden of the villa are also a children`s playground equipped with slide, swings, table-tennis table and table-football table, and a small gym. 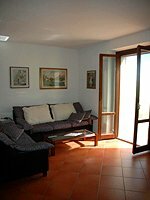 The two-storey building is composed of three apartments; in total, it sleeps 15 people in 2 double bedrooms, 2 twin bedroom, 2 triple bedrooms and 1 single bedrooms, and had 4 bathrooms. 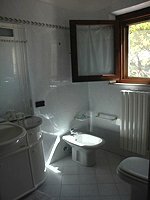 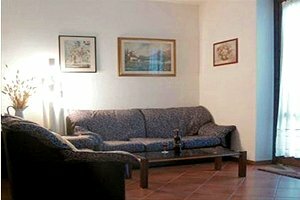 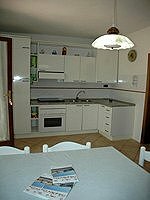 Both apartments on the ground floor compose of kitchen, two bedrooms and a bathroom. 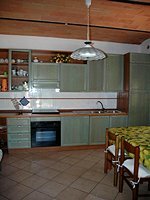 The 100-square-metre apartment on the first floor is the largest of the villa and consists in kitchen, living room, a single bedroom, two triple bedrooms and two bathrooms. 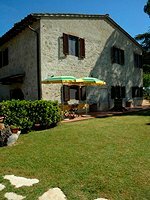 The villa comes with swings, slide, table-football table, table-tennis table, darts, swimming pool with whirlpool area, barbecue equipment, small gym, satellite TV, Internet connection, oven, washing machine, cot bed, bicycles, and private car parking space. 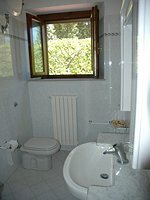 The three apartments have an independent heating system. 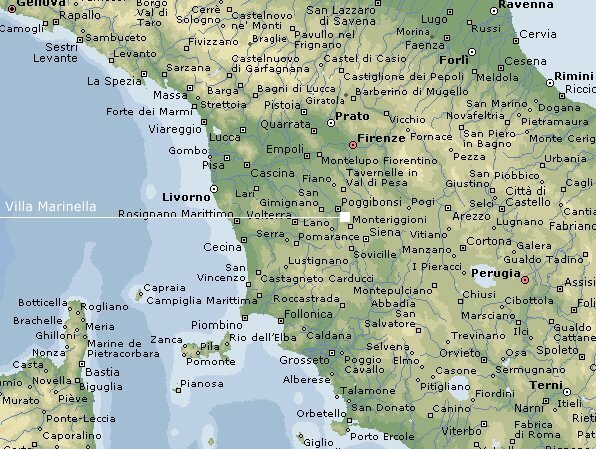 Shops and services of any kind are in Le Grazie (2 km). 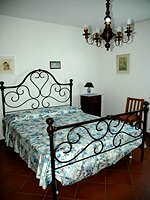 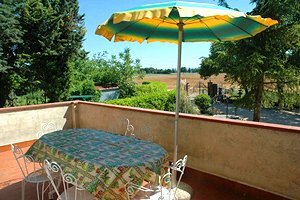 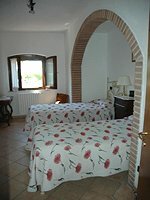 A tennis club and a golf club are 3 kilometres from the villa, whereas a riding stable is 10 kilometres from the estate.